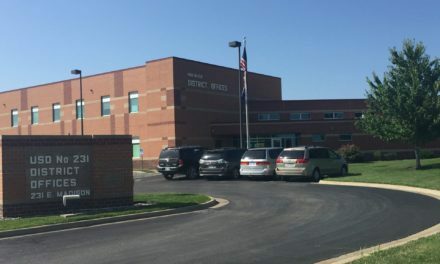 Although students have paid an additional $1 to attend events at Gardner Edgerton High School in the past year, parents now will actually pay less to attend those same events, thanks to action taken by the Board of Education. Board members unanimously voted on May 9 to raise the price for a GEHS Family Activity Pass from $30 to $40. The pass allows the holder admission to 10 events throughout a given academic year. Before last June, a single admission to athletic events cost $3 for students and $5 for adults. However, those prices increased in June 2010 to $4 for students and $6 for adults, according to a memo from GEHS Activities Director Kent Glaser. The $40 increase now means that although students will pay the same amount for 10 admissions at $4 apiece, adults will save $2 on each admission. Glaser said that on a separate note, the price for a Gardner Edgerton High School Student Activity Pass will remain the same this year, at $20 each. “Increasing the Family Activity Pass to $40 takes the pass back to its original intent of allowing families to enter at the lowest ticket price,” Glaser noted in his memo.